Inspired by real events, Gilbert’s Gift, the heartwarming new novel by Brian Will Oliver, tells the story of sixtysomething Gilbert Shilling—an aspiring rock star back in the Swinging Sixties—who, against his family’s wishes, decides to donate one of his lungs in a desperate bid to save the life of a dying boy he has never met. The novel pays tribute to all the courageous individuals who become altruistic living donors—selfless men and women who, while still alive, are willing to donate organs, such as a lung or a kidney, to help save the lives of others. What would YOU give to save the life of a stranger’s child? Having given up on his music career long ago, big-hearted Gilbert Shilling is now an ordinary working man leading an ordinary life—just another baby boomer lucky enough to have made it into his sixties in one piece. Still grieving over the death of his own baby son many years previously, Gilbert is deeply affected when he hears about a 10-year-old boy with cystic fibrosis who desperately needs a double lung transplant. Without the transplant, the child will die within weeks. Gilbert sees a way of bringing new purpose into his empty existence by volunteering to donate one of his own perfectly healthy lungs to help save the little boy’s life. Despite warnings that the transplant procedure could hold life-threatening risks for someone of his age, Gilbert insists on going ahead—driven by a determination to help save this little boy after he wasn’t able to save his own son. With echoes of Nicholas Sparks, Gilbert’s Gift is also a poignant tale about baby boomer love—teenage love in the Swinging Sixties, lost and then found again decades later. When the tragedy surrounding the lung transplant gains widespread media coverage, it brings Gilbert’s first love back into his life … just when he needs her most. But is she too late? Gilbert’s Gift is a moving tale which blends a poignant theme with gentle humour. It is available from Amazon as a US paperback, a UK paperback and as an eBook from Amazon’s Kindle Store. It is also available from Apple’s iTunes Store (Books/Fiction & Literature/Brian Will Oliver), Barnes & Noble’s Nook Store, and from KoboBooks. A FREE sample of Gilbert’s Gift can be read HERE (USA) or HERE (UK). 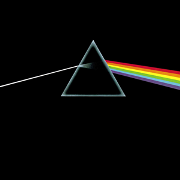 Pink Floyd’s 1973 album The Dark Side of the Moon has sealed its place in history by being added to the US Library of Congress’s National Recording Registry. It is one of 25 “culturally” or “historically” significant recordings being added to the registry this year. Other classics being preserved include Chubby Checker’s ‘The Twist’ (1960), Simon and Garfunkel’s Sounds of Silence (1966), Saturday Night Fever soundtrack (1977), and the 1949 South Pacific cast album. The crypt in which Elvis Presley was first buried at Forest Hill Cemetery in Memphis, Tennessee has been withdrawn from a Los Angeles auction after protests it should be kept as a shrine. More than 10,000 fans signed a petition against the sale of the tomb which has remained empty since Elvis’s body was moved to a permanent site in the Graceland Meditation Garden in October 1977. The cemetery says it now intends to find a plan “that best suits the interests of the fans while respecting and preserving the memory of Elvis”. Donny and Marie Osmond have announced plans for a 10-date UK tour which will open at London’s O2 Arena on January 20 2013 and will end on February 2 at the Liverpool Echo Arena. The Donny and Marie Live tour will be based on the duo’s successful Las Vegas show and will feature classic songs such as ‘Puppy Love’, ‘Paper Roses’, ‘Crazy Horses’ and ‘Love Me For A Reason’. The first musical to be based on the songs of Cat Stevens has received its world premiere in Melbourne, Australia. Titled Moonshadow, the musical is described as “an odyssey of love, music and light”. It includes several new songs written by Yusuf Islam, as well as classic songs such as ‘Father and Son’, ‘Wild World’, ‘Morning Has Broken’, ‘Matthew & Son’ and ‘The First Cut is the Deepest’. Bee Gees singer and co-founder Robin Gibb died on May 20 2012 following a long battle with cancer, his family has announced. He was 62. He formed the Bee Gees with his brothers Barry and Maurice in Australia in 1958. The trio went on to become one of the most successful groups of all time, with hits spanning six decades. His voice featured prominently on the group’s earliest hits, including ‘New York Mining Disaster 1941’, ‘I Started a Joke’, ‘Massachusetts’ and ‘I’ve Gotta Get a Message to You’. Robin’s twin brother Maurice passed away in 2003 and younger brother Andy died in 1988. The Who’s Pete Townshend is set to release his long awaited autobiography, titled Who I Am – A Memoir, in both hardcover and eBook form on October 11 2012. According to publisher HarperCollins, the book will reveal Townshend’s “most intimate memories”. After 45 years of “rocking all over the world” – and selling 128 million records in the process – Status Quo’s Francis Rossi, 62, and Rick Parfitt, 63, are launching a new career … on the silver screen. The veteran rockers are currently in Fiji shooting their first feature film: Bula Quo!, named after a traditional Fijian greeting. Rossi and Parfitt will play themselves in the film which is described as “a 90-minute action caper”. It will be released next year and will include 12 of the band’s songs. Plans for an ambitious 5-disc super deluxe edition of the Doors’ 1971 album L.A. Woman have been scrapped, according to reports, because the retail price-tag for the set’s planned hard box packaging would not make it commercially viable. A 2-disc 40th Anniversary special edition will now be released on January 24, followed later this year by a more affordable 3-disc limited edition box set comprising previously unreleased alternate tracks and outtakes. With few or no repeated tracks, the separate 2-disc and 3-disc sets would more or less equal the intended 5-disc version. It’s the 40th anniversary of Benny Hill’s unforgettable comedy song ‘Ernie (The Fastest Milkman In The West)’. It was the UK Christmas No. 1 in 1971. During his appearance on the BBC Radio 4 show Desert Island Discs, the UK Prime Minister David Cameron proudly declared he knows all the words to the innuendo-laden song. It tells the tale of Ernie, the widow Sue, and Ernie’s arch-rival Two Ton Ted from Teddington. You are currently browsing the archives for the Seventies category.